The St Peter’s Episcopal church in Arlington, Virginia are associates in the venture with the St Francis Outreach Trust in their “Homes to Grow” foster home project in Masiphumelele. 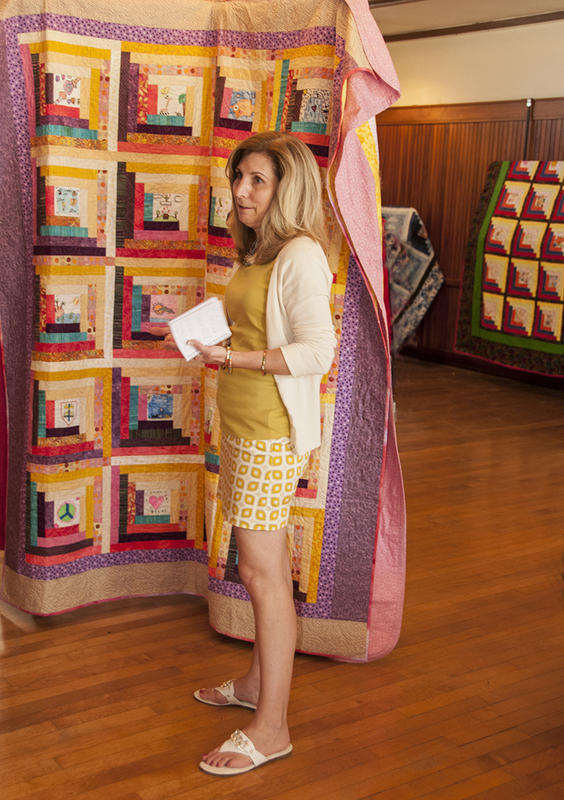 The original vision for the quilts was spurred by a visit to the home in July 2011 when seven quilts were given as gifts to the foster children and house mother. The idea was that the quilts would wrap the children with warmth and carry messages of love from the children of the St Peter’s parish. The quilt project expanded as a result of this mission and the very positive response. In January 2013, representatives of the St Peter’s Love Quilt Project returned to South Africa with a further thirty-six quilts and two beautiful wall hangings. Before handing over the quilts to the children, an exhibition as held at the Fish Hoek Civic Centre Minor Hall. Co-ordinator Gretchen Ginnerty spoke about the project at the exhibition held in the Fish Hoek Civic Centre. These superb works of art are the result of many hours given by teams of talented quilters and by the incorporation of the fabric squares hand drawn by American children with their message of love for the orphaned South African children, who have been affected by the scourge of the HIV/Aids pandemic. It’s an extraordinary story of a committed community who reach out in compassion and drive forward a worthy cause. For each quilt is not only a marvel in design, but also has it’s own unique message. American quilt making has a long proud heritage and these traditions are shown anew with the spirit and generosity of these works. 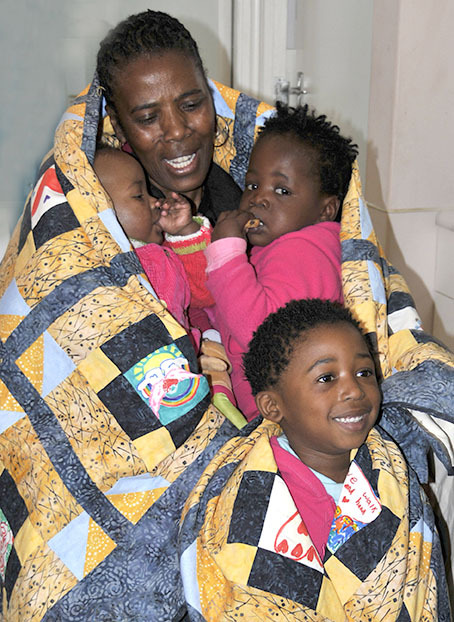 The exhibited quilts were distributed to various foster homes identified by SFOT and the “Home from Home” organisation caring for orphaned or fostered children. And now here we are getting ready to welcome our American friends back to our shores. They are coming with many more quilts to cover our children with warmth and love. Two Quilt Expos are being planned. Quilt Expo Pta on Saturday 26 July 2014 from noon to 4:00 pm in the Parish Centre of St Francis of Assisi Anglican Church Waterkloof Pta. This will be followed by Quilt Expo Fish Hoek which will take place one week later on Saturday 2 August 2014 from 10:00 am to 4:00 pm in the King of Kings Baptist Hall in Sun Valley. Come and view these quilts made with love by women and children around the USA and given with love to vulnerable, disadvantaged children in South Africa.